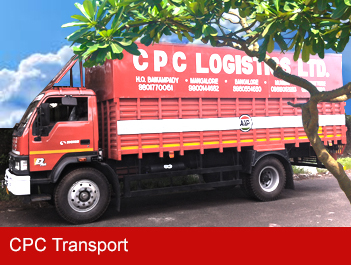 CPC Logistics is a pioneer in over-the-road parcel service of general commodities throughout India. Established in 1914, we built our reputation as a premium professional carrier by servicing a diverse base of shippers by providing innovative and superior solutions that exceed our customers’ expectations. Our team of experienced logistics professionals provides exceptional on-time service to all of our customers. We transport many types of freight for a diverse customer base in industries such as industrial machinery and equipment, rubber and plastics, retail stores, paper products, durable consumer goods, metals, electronics and chemicals. This combination of experience and service has afforded CPC Logistics the ability to develop many long-term, service-oriented relationships with our customers. CPC Logistics has evolved into a providing next gen Parcel/Courier solutions to our customers. We offer "Highest Quality", "Flexible" and "On Time" service along with an extended list of other optional Value Added Services as well. More..